You are here: Home / Londonism / Welcome to Londontopia! As with most Anglophiles, my passion for Britain started with London. London was the first place I set foot in England, it was the first foreign country I went with my wife, it was the place I dreamed of life in Britain. London forms our conceptions of Britain – just don’t tell too many Brits that as most of them have a loving disdain for their capital. London is a vibrant and ever changing city with a solid backbone going back more than 2,000 years in history. How could it not possibly be an awesome place? 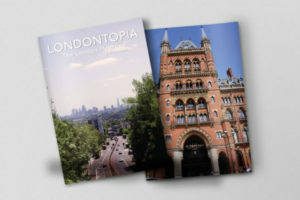 When we launched Anglotopia in 2007, we wrote about London as much as we thought we could get away with and quickly it became apparent it was one of the most popular parts of the site. But there was much lacking in our London coverage because we always wanted Anglotopia to be focused on everything Britain had to offer because Britain is so much more than London. So we were forsaking growth and opportunity to focus on diversity and it worked for the time being. Last summer an idea popped into my head and within minutes of thinking about it – I purchased the domain name londontopia.net. I wasn’t sure what I wanted to do with it yet – but at least I owned it. Fast forward a few months and I had done a user survey of Anglotopia’s readers and learned that 80% of our readers would enjoy a separate London blog. That pretty much sealed the deal for us. 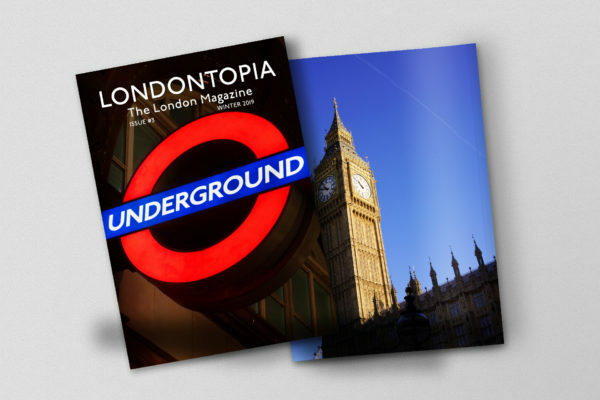 Since then, we’ve worked in the background to bring together Londontopia – the website for people who love London. We’re well aware that there’s a ton of London themed blogs out there – we don’t believe we’re competing – we want to create an entirely new experience. We want to cover everything London from local news and attraction to travel and culture. It will take a while for the site to fully take shape – but that’s our over arching vision for Londontopia. We look forward to working together with all the London blogs out there and foster a vibrant community of people interested in everything London. 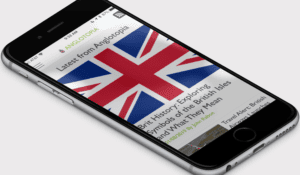 If you’re a loyal reader of Anglotopia – please subscribe to this new blog and visit it as you did Anglotopia, but keep in mind we’ll still post London stuff on Anglotopia and continue to run Anglotopia as our main site. We’re not shrinking, we’re growing. And we can’t be more excited. 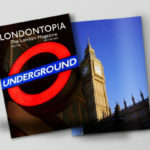 So, welcome everyone, to Londontopia. Hi Jonathan, this looks absolutely fabulous. Even though you don’t live in London, it must feel like the next best thing setting up this London blog. Well done – don’t know how you find the time. Look forward to your next trip.